Showcasing a gamut of well fabricated Concrete Cutting Tools Such as: Core Drill Bits, Diamond Drill Bits, Lapping Compounds, Diamond Segment Saws, Brick Cutting Machines, Concrete Cutting Machines, etc. It is the difference of smoothness and finishing that segregates cutting from breaking. Things which are broken have rough and irregular surface whereas items that are cut with precision have smooth and even surface. 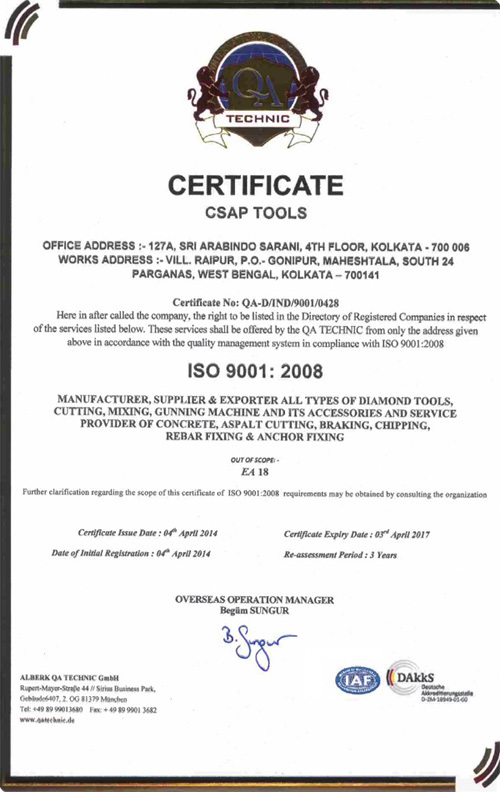 A new dimension has been added to the art of cutting by CSAP Tools, which is a leading manufacturer, exporter and supplier of perfect cutting tools and allied equipments. 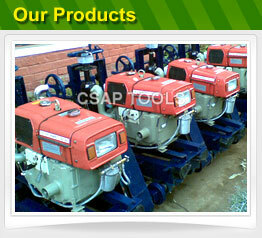 The company is also a renowned service provider of the industry. Knowing the fact well that unless the quality of a product is superior, it cannot move very far in the international market. We apply latest manufacturing techniques and use fine raw materials that are sourced from reliable agents. We have an advanced quality testing center where every product is tested minutely on various parameters of quality before being sent to the target clients. 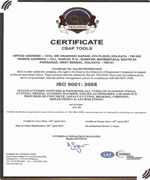 In this regard, our quality team plays a responsible role.